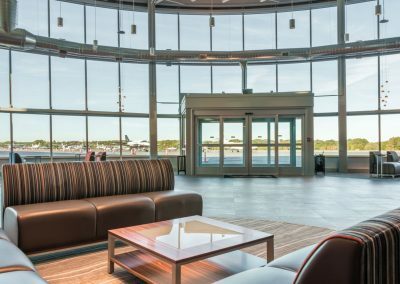 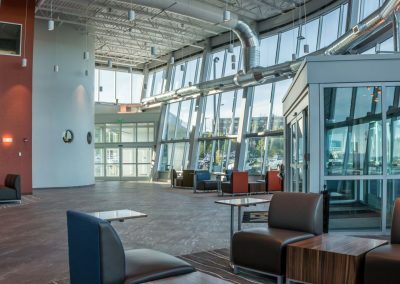 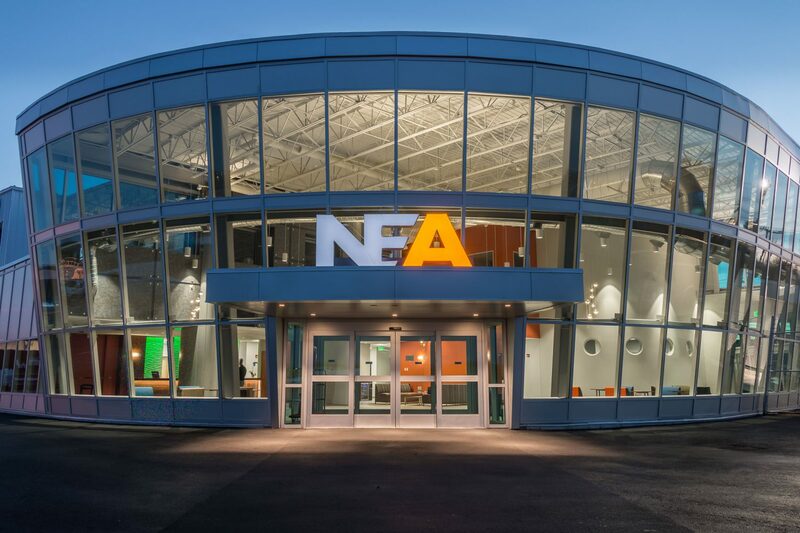 Northeast Air Terminal Renovation and Office Addition | Allied Engineering, Inc.
Allied Engineering provided professional engineering services for structural, mechanical, plumbing, fire protection, and electrical systems design for the proposed Northeast Air building addition. 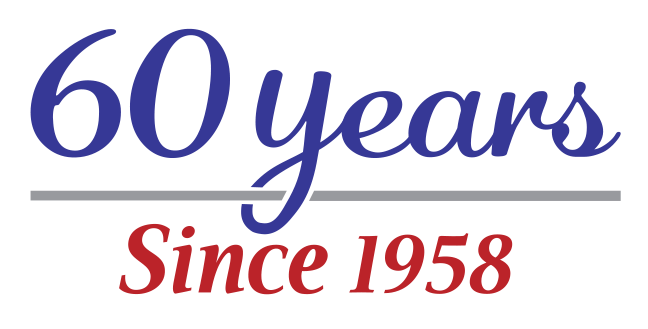 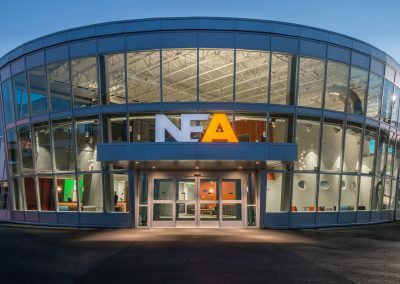 Two new additions were constructed to the main existing building: a new 2-story addition with a 6,750 sf footprint and a new 1-story addition of 3,500 sf. 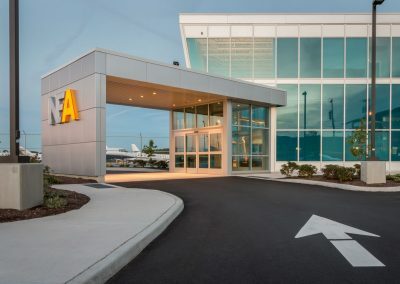 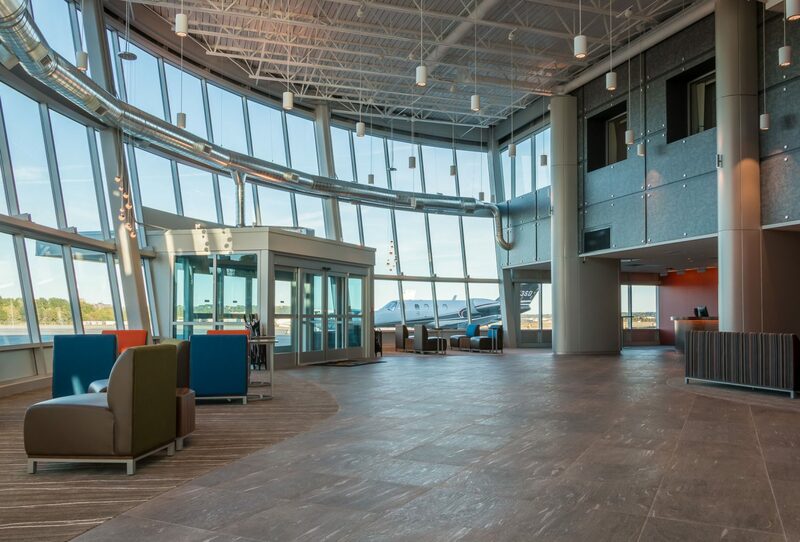 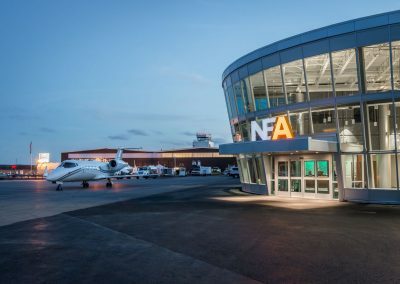 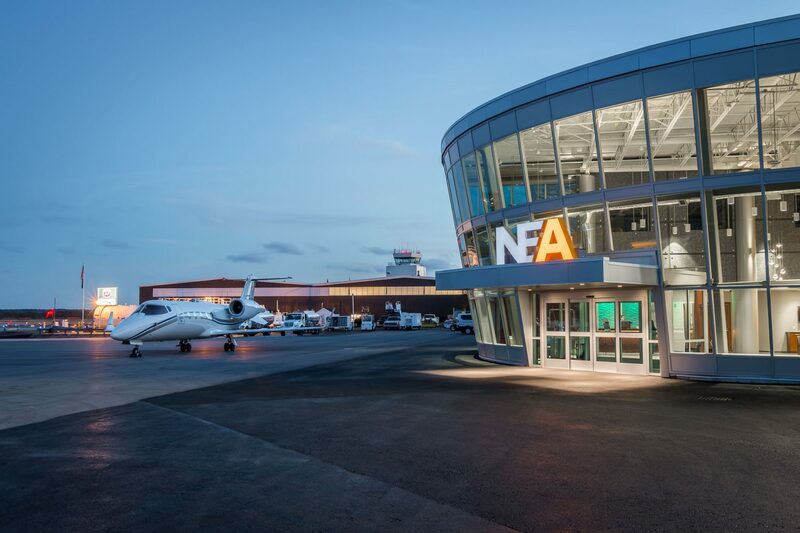 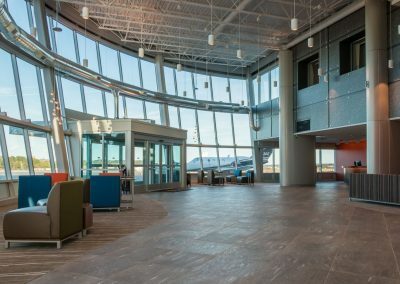 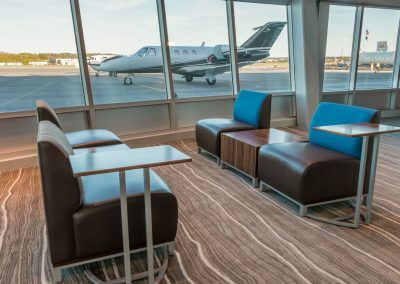 This new building allowed NEA to complete long overdue improvements to the existing terminal area to improve the current operations and provided an enhanced identity for NEA at this location. 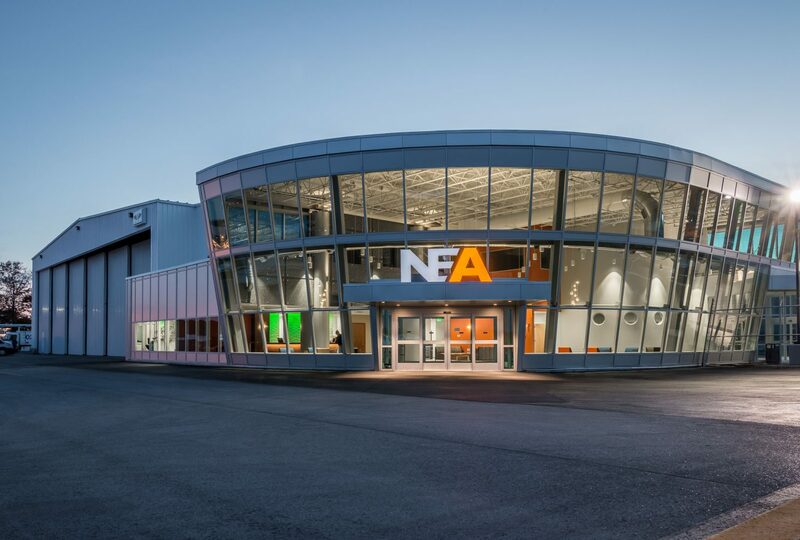 The new addition allowed for the relocation of the FAA from an existing building on the airfield and is used by NEA to address existing space needs. 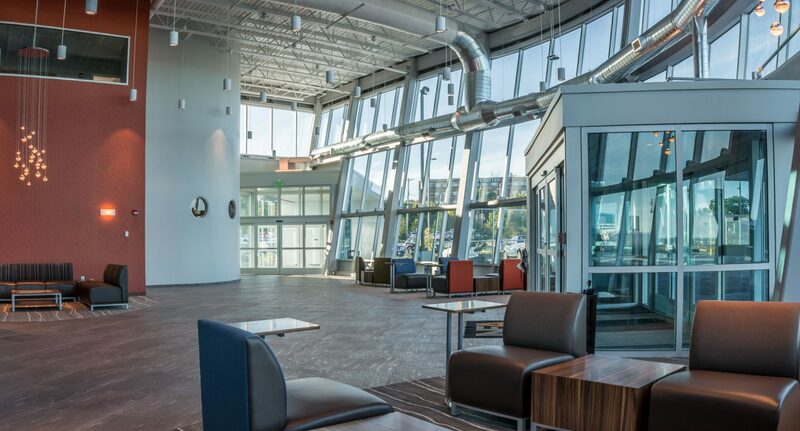 An HSS steel support framing was designed behind this full-height curtain wall system constructed at a 10 degree angle to grade.